A triple blast of menthol for those who like a stronger hit and a truly refreshing cool sensation. Vapable Triple Menthol E Liquid is a highly invigorating and refreshing e-liquid, which takes crisp, clean and cool menthol flavour and multiplies it by three! 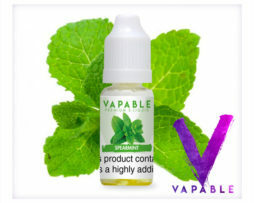 Vapable Triple Menthol E Liquid is a highly invigorating and refreshing e-liquid, which takes crisp, clean and cool menthol flavour and multiplies it by three! If you are a fan of menthol based e-liquids then you are going to be absolutely knocked away by Vapable Triple Menthol e-liquid. Your senses will be taken on an adventure that is refreshing and breath-taking, the three blasts of cool menthol will make you feel like you are breathing fresh, clean mountain air with wave after wave of flavour opening up and invigorating your airways. Vapable Triple Menthol flavour e-liquid continues to be one of our most popular e-liquid flavours – try it and you will understand why so many people keep coming back for more. Having given up smoking for 50 years, the last few using menthol cigarettes, this was my very first experience of E liquids and I was very pleasantly surprised. I started off at 12mg nicotine and am now down to 3mg. Through curiosity I have tried about six other menthol brands and this is by far the best in my opinion. The others tasted very "chemical" to me and were usually more expensive. I did try self-mixing but unable to mimic the original. I stopped smoking a year ago so am very pleased I've joined the vaping community. I love this flavour and never buy my menthol from anywhere else! This is fab - but every time I go to re-order its out of stock !!! I'm now looking for another reliable supplier - Sort it out Vapable please !! I imagined this might be similar to a menthol cigarette. Only used the once then got rid of the bottle. Having given up smoking for 50 years, the last few using menthol cigarettes, this was my very first experience of E liquids and I was very pleasantly surprised. I started off at 12mg nicotine and am now down to 3mg. Through curiosity I have tried about six other menthol brands and this is by far the best in my opinion. The others tasted very “chemical” to me and were usually more expensive. I did try self-mixing but unable to mimic the original. I stopped smoking a year ago so am very pleased I’ve joined the vaping community. This is fab – but every time I go to re-order its out of stock !!! I’m now looking for another reliable supplier – Sort it out Vapable please !! Great menthol taste and flavour that really cools the throat but no throat hit which is an absolute winner. I was very surprised by this. You get the strong menthol hit, both in the nose and the throat and the cool breath intake but it doesn’t leave the strong after taste you get from some menthols. There is still that menthol aftertaste which leaves the mouth feeling fresh but I think there is some mint in this aswell which softens the overall flavour nicely. If you like your menthols this is one of the better ones. Very clean strong menthol flavour with no nasty aftertaste. One of the best I’ve tried! My personal favourite combined with watermelon. Fantastic flavour, and good fast delivery service!! At last I’ve found my menthol hit!!!! This is by far the best menthol I have ever used and believe me I’ve used many!! 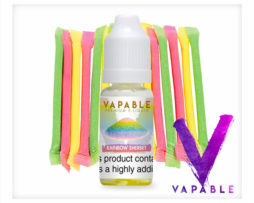 I found Vapable on a Google search and was hard pushed to find any negative reviews….so I took the proverbial bull by the horns and ordered several flavours. and so far I haven’t been disappointed. The menthol really hit where its mean to, it has reached parts that no other menthol has touch, it’s fresh, clean, crisp and very satisfying. It’s neither to strong or to mild but just right. Excellent work people! I have tried a lot of different brands of menthol e juice and they were never quite menthol enough. This one gives you the perfect menthol hit. I bought it based on earlier reviews and I was not disappointed. My order arrived promptly and I will replenish my supplies with this company in future. I only Vape Menthol – so I had to try this one out. It didn’t disappoint. Totally recommend it. Great E Liquid for menthol lovers. Very refreshing, menthol is always a winner and this is no different. Like inhaling a fox’s glacier mint. Thought I might have liked this (and double menthol) having smoked menthol cigarettes, but unfortunately not for me. A nice menthol product, clean and pure flavour. I have tried other suppliers, but none can match this! I also use the cool mint. This is mellow and fresh, ideal for first cape of the day, or after a meal to replace the ciggy! It’s ok this one. An easy vape that neither excites nor dissapoints. It is what it is, for triple menthol though it could be a bit stronger. Extremely quick delivery and well packaged. Will definitely recommend this Company. Astounding service! Many thanks. Excellent Menthol hit, pure Menthol minty fusion, if you love Menthol then this is the one for you :O) couldn’t be happier with it. As usual speedy delivery and all packaged brilliant, thank you to all concerned. Excellent buy! Nice strong minty blast that keeps you satisfied .would definitely recommend if you need that strong hit . I have switched from another manufacturer to Vapable and the Triple Menthol is what I bought and it is great! A real strong hit and it leaves a fresh and minty taste. It was simple to order my liquids, the delivery was quick and on time; plus they keep you up to date with the progress of your order! All round a great company!